Engagements can range from our 1 to 2 year executive leadership program to week-long programs or multi-day workshops, and can be held either at our campus or your location. Provide leaders a clear and practical means of mapping employee job expectations to the organization’s vision. Our consultants teach you to leverage performance, build teamwork and strengthen relationships. If you want to lead an agile organization that consistently achieves impact, then you need people who are ready, willing and able to execute on new ideas. Best-practice models, frameworks and tools help you know “what to do." Exceptional outcomes happen when employees have their heads and hearts in the game. Get a better sense of how deeply your employees are engaged and learn strategies that will enhance employee well-being. Work ongoing for 1 to 2 years with a dedicated member of our consulting team who partners with our entire staff of consultants to find the best fit for you. Tailor our core offerings to solve your specific challenges. We've developed and refined approaches to business leadership through collaborative work with clients in top companies throughout the United States. From your first consultation until final success, our team partners with you to create dynamic and effective leaders, increase employee retention and improve your bottom line. Our business advisors and program consultants work in tandem to develop specific goals and a timeline for you, your team or your entire organization. A business advisor will learn your organization’s needs and determine opportunities to build leadership capacity and improve performance essential to an efficient, problem-solving approach. 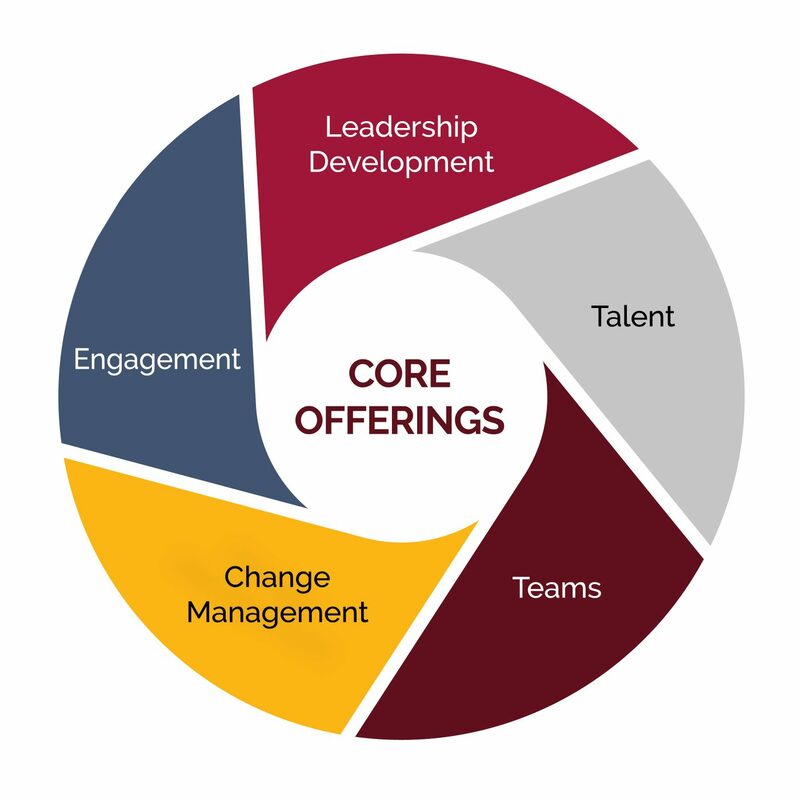 You’ll have a dedicated program consultant to implement leadership programs. Collaboration with other consultants completes a well-rounded approach to facilitate open-enrollment workshops. Whatever your particular challenges, we have the flexibility to focus our programs on what's most important to you. We work with you to determine your goals to address the right areas of opportunity.